Love the colors you chose for your review layout. Very sweet! 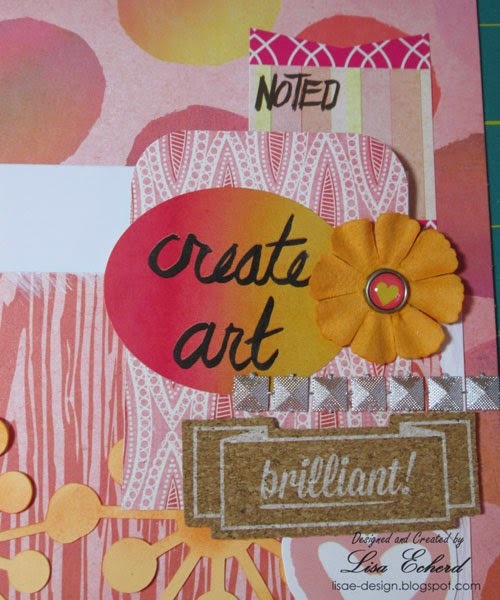 Love the idea for a pocket page. Hope you feel better soon. Happy New Year Lisa! I hope you feel better soon. Love that page and love the idea of doing a page like this too. 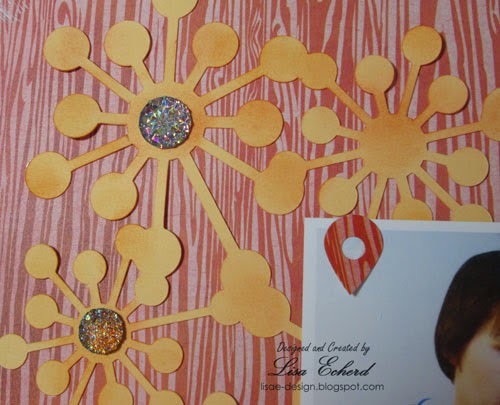 Your embellishment clusters look fantastic and draw attention to the photo and title. 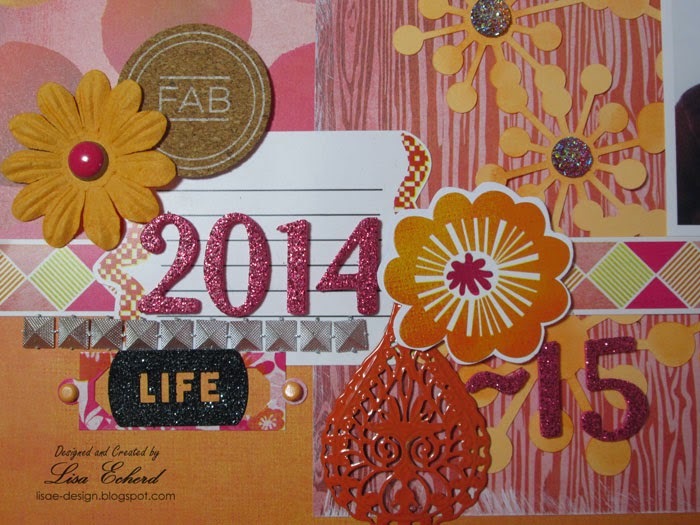 Thanks for all your inspiration through out 2014. 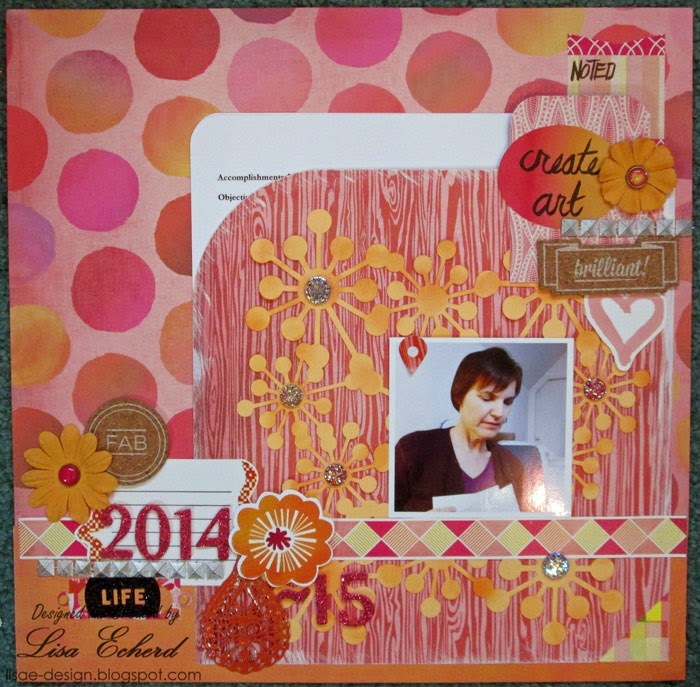 Such a great idea to do a year in review layout.